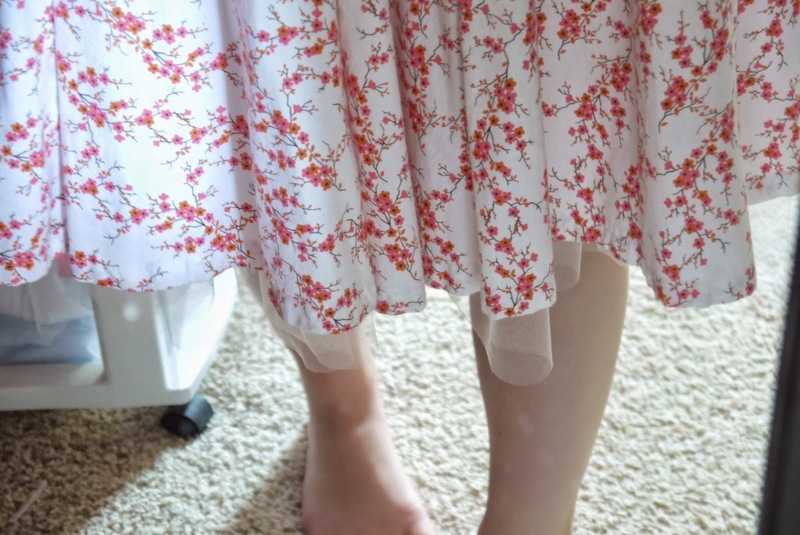 The other day I went to Hobby Lobby and bought the tulle for the petticoat of my Rose Tyler costume. The tutorial I was using as a guideline used 4 yards, but I bought 5 just because. Besides, it only ended up costing $6. 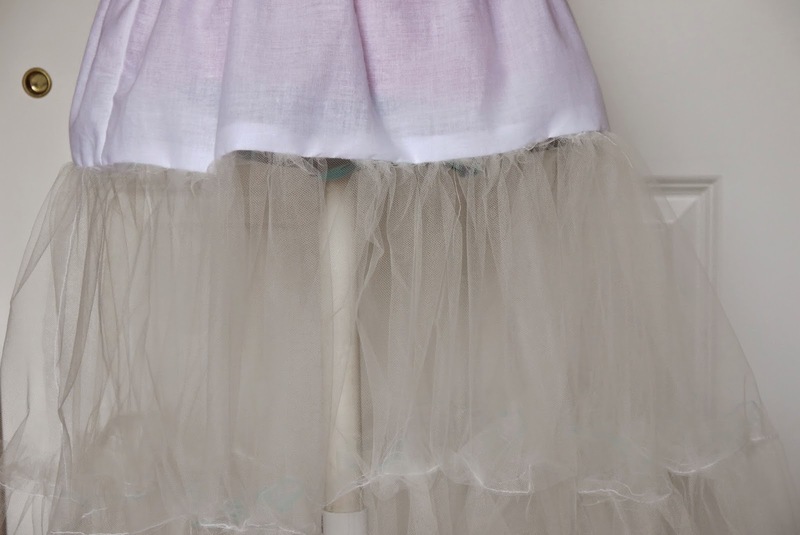 Tulle is cheap, which is awesome! I cut it out yesterday morning and started working on it. I had a tutorial but I decided it was easy enough and just used it as a guideline. Well, one of the things they said is that petticoats are made form the bottom up. But what did I do? I made it from the top down. Don't do that. Start from the bottom, you'll save yourself a lot of time and frustration. 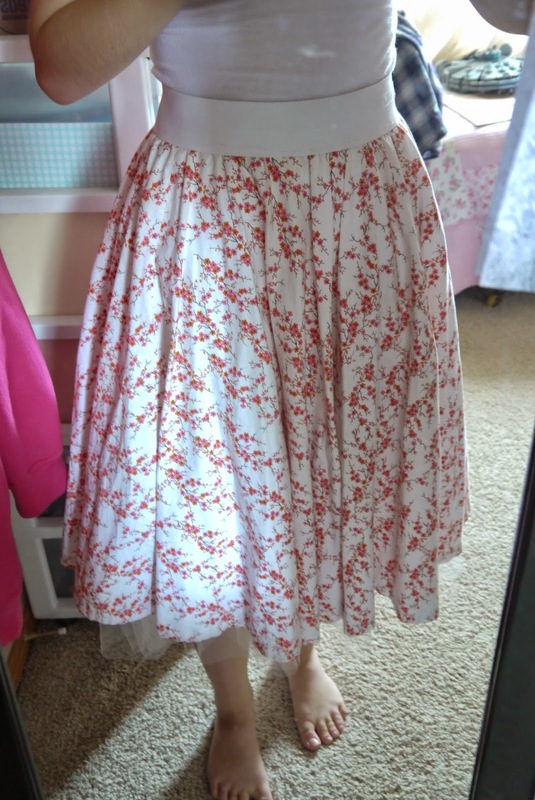 I put my circle skirt on over the finished petticoat to get an idea of how it looked. It looks fuller person. 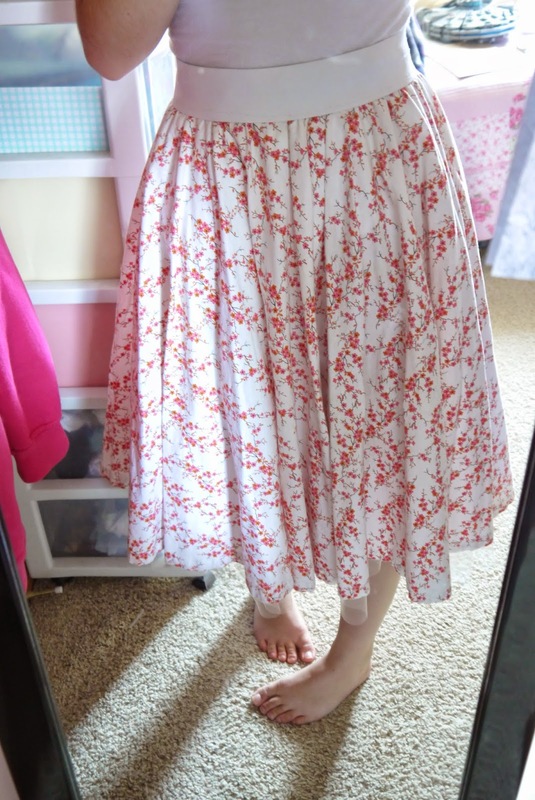 The pleats in the actual dress will add a lot of volume to it as well. 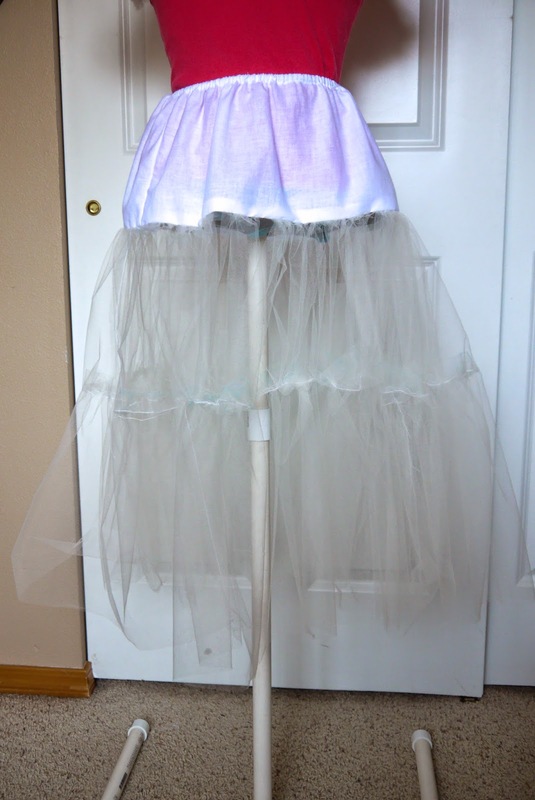 I chose a slightly off white color for the tulle because to match the costume. 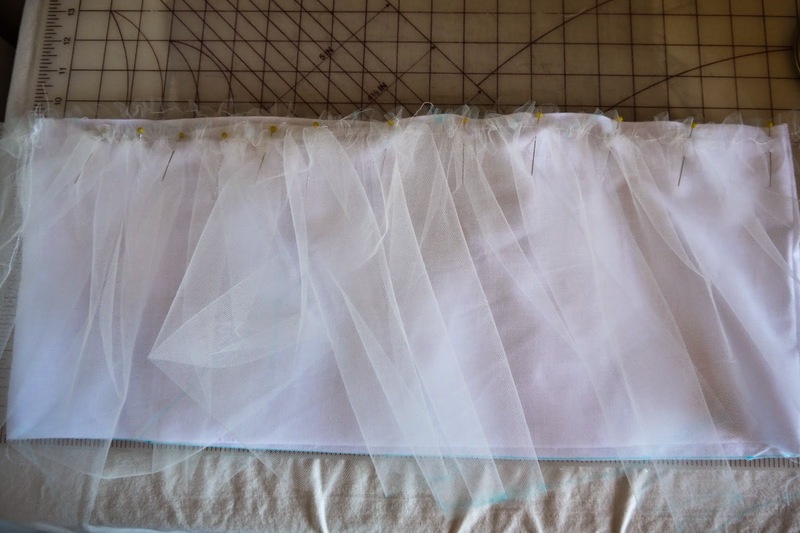 I ended up just using muslin for the top tier/waistband part which I already had in my stash. So the total cost for this costume is a whopping $6. 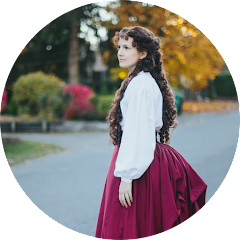 The skirt is going to take a ton of material, so that'll make up for it. I have that exact same flower material! It's on my night stand!